If you’ve ever watched “How It’s Made” or seen a construction crew put up an entire neighborhood seemingly overnight, you’re probably familiar with the concept of the prefabricated home. The idea behind prefabrication is that the large pieces of the project are assembled ahead of time, then shipped to the site and joined together by a crew. This allows for a shorter assembly time overall, which is why prefab neighborhoods seem to appear out of nowhere. The idea itself comes from the combination of modular homes and panelized houses and isn’t typically used by the housing industry, but has become a common term among home seekers and buyers. Prefabrication has become a popular way to build, especially when it comes to single-family homes. Below we’ve included some of the most sought after information regarding prefabricated homes, including types, pricing, and individual companies that provide prefab kits, whether you’re looking for steel frames, energy efficient homes, or unique pods that suit your lifestyle. One of the more popular types of prefab homes in recent years is the steel modular home. Some of these are built using steel frames only, while others have panels made of steel incorporated into the building. The main reason for using steel is for safety. Steel frames protect from wind, earthquakes, storms, and other natural disasters. This is often a big concern for people considering prefabricated houses, since some companies forego using the sturdiest materials to cut down on cost. If you’re concerned about the longevity, safety, or sturdiness of a prefabricated home, the steel frame or steel modular type may be the one you want to check out. 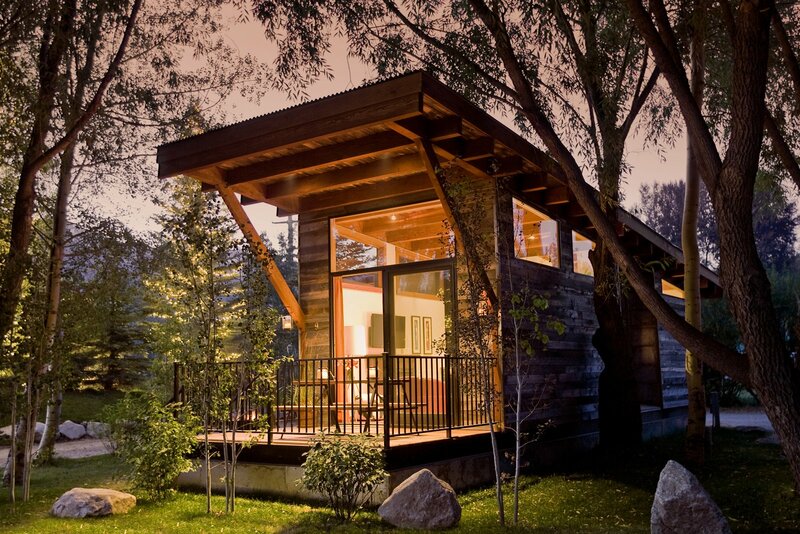 Kodiak Steel has a line of steel homes, which are purportedly some of the strongest prefab homes available. They’re also a good choice for the environment, and the engineering that goes on behind the scenes ensures that your home is able to withstand whatever nature brings your way, whether it’s a desert sandstorm, a snowstorm, or even hailstorms. Wherever you live, if you have a steel frame or panel house, you and your family won’t have to worry about staying safe. If you want to learn more about steel modular homes, you can visit the Kodiak Steel website, or you can watch videos about steel homes on YouTube. If the image of your dream home has remained steady in your mind for awhile, you may want to consider hiring an architect who will customize a modular home for you. Contrary to what you may think, custom modular homes have progressed past the initial rectangle shape into a myriad of possibilities that inspire and delight new homeowners as well as veteran buyers. There are dozens of companies that specialize in creating custom modular homes for their customers, but to just get a taste of what is available in the custom modular home arena, you should take a look at the Professional Building Systems company, which specializes in custom buildings, for individual family homes as well as commercial and multi-family use. The individual family homes can be customized with the number of bedrooms, bathrooms, styles, sizes, and a variety of features, including balconies, fireplaces, and breakfast nooks. There are many styles of custom modular homes to choose from with any company, depending on where you live – from mountain cabins, to beach houses, to three-story Victorian style homes, if you can dream it, someone can build it. Keep in mind that choosing a custom home build may take longer as the details will have to be worked out prior to building, and it may cost more due to customization. If your heart is set on a specific look, however, this is the way to go. It’s a good idea to shop around instead of hiring the first builder you come across, but where do you start? And how do you know who you can trust? You can utilize the world wide web and check recommendations online (Google Search will yield plenty of results), and it’s also a good idea to check YouTube and watch builders’ channels, or videos by people who have hired specific builders that you may also be interested in hiring. If you’re less of a research online type of person, of course, there are other ways to find a reputable builder, such as world-of-mouth. If you don’t know anyone who has a prefab house, ask your friends and family if they know someone. 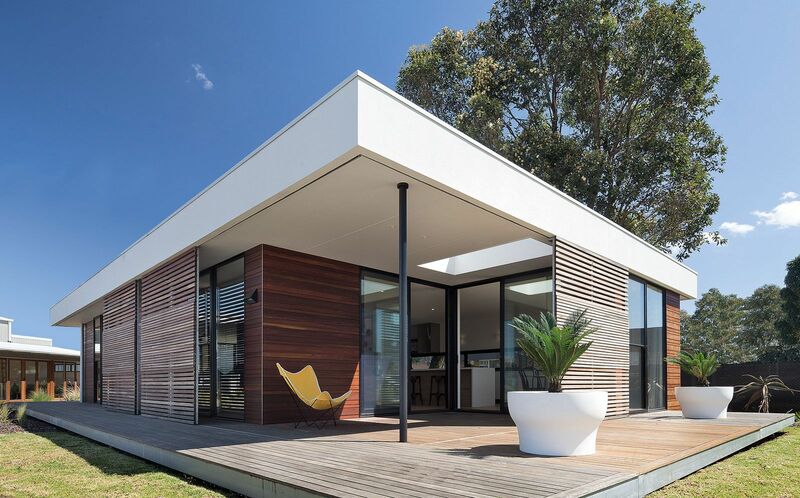 Since the prefab house is becoming more and more popular, it’s likely that you will be able to find someone to talk to about their experience and satisfaction with their prefab house. Some of my favorite prefab builders are the ones who think outside the box, or who concentrate on safety, going green, or other things important to me as a responsible buyer. There are also communities of prefab homes to consider, unless you are also in the process of buying your own property outside the city in a more rural area. If you want to look at larger companies, you can check out Champion Homes, which boasts several cozy home plans, all energy efficient and quick to build. Excel Homes is yet another larger company that has been around since the mid 1980’s that might suit you if you’re looking for high-quality prefab homes, vacation homes, and multi-family residential units. If you’re looking for something a little more unique, then you may want to seek out a company like Method Homes, which is located on the western coast of the United States. Their original designs and commitment to quality put them at the top of our list. Modular and manufacturing are terms that can seem interchangeable, but there are some minor differences that you need to know before you decide which one you’re going to use. Modular homes are subject to the rules and regulations of where they end up, while manufactured homes do not have to be inspected – the only parts that have to pass inspection are the things like wiring and plumbing that are done on site. The other big thing to know about modular versus manufactured homes is that it is easier to re-finance a modular home versus a manufactured home because of the permanent foundation the modular is built onto – manufactured homes typically aren’t secured to the foundation permanently. They are instead built on a metal chassis. This is also why manufactured homes are cheaper, so if price is a factor, you may want to consider going the manufactured home route, keeping in mind that you will need to have more money saved up so that you don’t run into re-financing issues. Modular homes, on the other hand, are quite similar to houses constructed on-site in regards to having a permanent foundation, though they may in fact sometimes be a little less expensive than their on-site counterparts. They do tend to last just as long as those houses built on-site, so if you’re looking for a home that will increase in value over time and that will, with steady maintenance, house several generations of your family, you may want to go the modular home route. One of the most interesting developments in the prefabricated home world is the use of concrete in what is called “precast” housing. The concrete is poured and shaped ahead of time and then hauled to the site and completed. While some may be disinterested in the look of such a house, the benefits far outweigh any design concerns one may have. For example, the use of precast concrete means that the house is almost completely fireproof, and is incredibly weather and vermin resistant. It’s a definite perk, but the biggest bonus of all is that this could mean lower home insurance rates, fewer pest control visits and repair bills, etc. Other benefits to owning a precast house include built-in insulation, which means it retains both heat and cold so well that less power is needed, which again, means lower monthly payments. While precast homes may be costlier up front, they do pay for themselves in many ways over the years, and are speculated to be tougher than most houses built today. They could last over a hundred years and still require minimal maintenance. If this sounds appealing to you, then you may want to take some time and research the fascinating world of precast homes. One market where the precast home has been growing by leaps and bounds is the tiny home community, where a small precast home can shield from outside noise, bad weather, and homeowner bills. If you’re looking into buying or building your own home but want to be conscientious of the surrounding environment, there are several housing options that are energy-efficient and green friendly. Several new materials have been created (such as aircrete) that are not only energy efficient but also sturdy and inexpensive. Some modular home companies even specialize in energy efficient homes. Method Homes is one such company, and their homes are all built to be able to receive green building certifications. Their “M” series is a less expensive but very stylish line of modern, customizable homes that cater to environmentally conscious clients. Some certifications their homes qualify for are the Passive House and Living Building Challenge. Ecocraft is another company that prides itself on producing some of the most energy efficient, customizable homes on the market. They do not have a line or set plans, and instead work with each buyer to build a house perfect for each individual. They rely on passive and active solar power systems, use recyclable or long-lasting materials, and have reduced their construction waste by 20%, which may not sound like much until you realize that they’ve taken the industry standard (25%) and gone to just 5% waste total. The only company to ever receive a permit to build their incredibly green friendly structures using bamboo is Bamboo Living Homes. Their homes are all up to code, and withstand winds over 150mph. The bamboo is responsibly sourced and the home, which includes 2 bedrooms, 2 bathrooms, a porch, and a loft can be built for less than $100,000. If you’re looking for less of a home and more of an office, studio, recreational area, or even an outhouse of sorts, you can spend less and get something of high quality, like prefabricated pods. These ‘pods’ are one-room structures that can be used for just about anything you can come up with, including an addition to your home that doesn’t require a building permit. YardPods is a new company located in the San Francisco area, dedicated to building unattached pods for your personal use. They come in many styles, some with big windows to let in light (best for art studios and photography), some with less distraction (home office, meeting room), some with relaxation space outside, such as a deck or porch. You can also use the pods as places to teach (tutoring, yoga studio, music studio), house relatives or guests (Air B&B) overflow, and have your own quiet retreat on the weekends. Pods can also serve as sturdy storage spaces, a playhouse, or a mother-in-law suite (just make sure there’s a bathroom attached). Or, if you’ve decided that you really want another toilet to have on hand when family arrives, you can buy a bathroom pod, like the one sold by Oldcastle SurePods, which is known as the leader of supplying prefab bathrooms in North America. 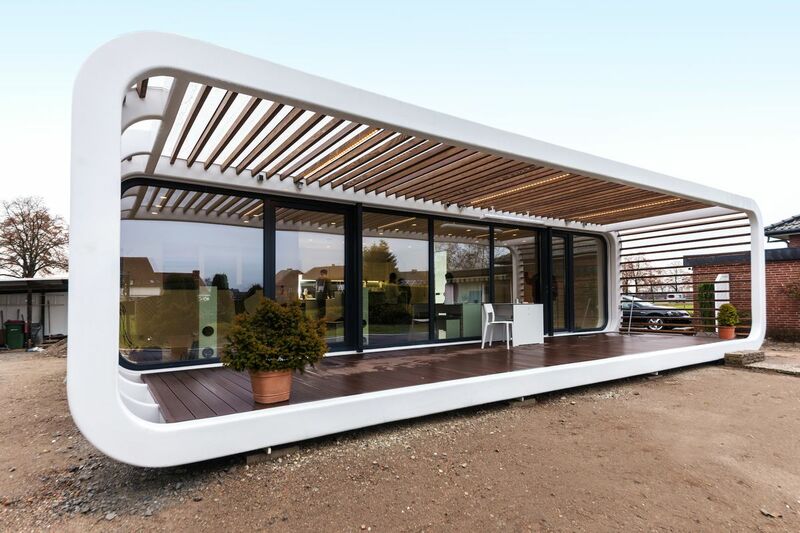 Now, we know that everyone wants to know the bottom line: what’s the price tag on prefabricated homes? The simple answer is that most of them are cheaper to come by than the average two-story house in a regular neighborhood. That being said, there are a lot of factors that play into the price of a prefabricated house, such as if the buyer already has a plot of land set aside, what materials are being used to make the prefabricated home, and how long it takes for the building to be put together. Typically, it depends on a few variables: materials, size, and time. Depending on the construction materials used (such as bamboo, concrete, or wood), you could find yourself in the hundreds of thousands range. Using energy efficient materials will cost more up front, but will also allow the house to pay for itself eventually because it did its job and did it well. To get down to brass tacks, however, the starting point for most prefabricated houses that are a regular size (2-3 bedrooms and the same amount of bathrooms) is somewhere around the $200,00 mark, which includes the price of the land it is being built on, as well as all the utilities, permits, and time spent on putting the house together. You may be able to drive down the cost depending on what materials are used and which model you pick, but it does also depend on external factors like where you’re building and how the market is doing at that time. Most homes, however, will start around $100,000.00 and go up from there. We hope you’ve learned a little something while perusing this article about all the options available to you when you decide to build a prefabricated house. There are many places online and off you can explore these further, such as the links we posted throughout the article. If you’re thinking of looking into getting a prefabricated home for yourself and your family, I highly recommend talking to an architect and getting both the design and money details down before you make a final decision. While prefabricated homes go up quickly and have a reputation of being “flimsy”, technology has come a long way from when they were first popular up to now. Now you can choose whether you want a steel frame or a home created with bamboo fiber, both of which are built to withstand nature’s scariest storms. You can choose between a tiny home or a large, Victorian style. No matter what you choose, be sure and research all the options available to you before you begin. Talk to local builders, talk to experts in your area who have the knowledge and expertise to make your house a home. You’ll want to be sure you can enjoy the memories made inside those walls for decades to come.